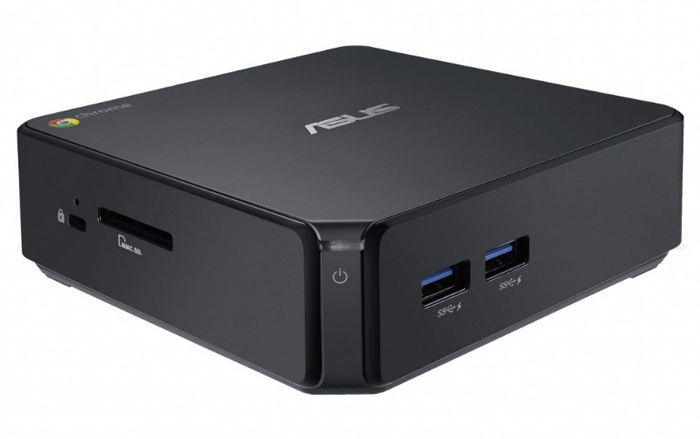 ASUS has announced a new device that joins the company’s product list – this time it is the ASUS Chromebox, which has been designed to ease computing at home, in the classroom or in the office. The Chromebox is based on the Chrome OS, as the name of the device suggests, and offers quick access to favorite content as well as an easy set up process. It provides a gateway to the world of Google web services, thousands of Chrome Web Store applications, 100 GB of Google Drive space and more. Users can use all the features of the Chromebox by just logging in with their Google account. On the hardware side the ASUS Chromebox offers an Intel Haswell processor, 802.11n dual-band Wi-Fi, four USB 3.0 ports, Bluetooth 4.0 and a SD card reader. The USB connectivity makes the device compatible with many other types of devices and the Chromebox may be expanded as needed when the time comes. The ASUS Chromebox will be commercially available in March with the device selling for USD 179.